At Weight Management Psychology, we help you improve your relationship with exercise. Rather than focusing on working hard, quickly improving your fitness, or weight loss, we combine physical activity understanding with a focus on the “Five Es” of Movement. Enjoyment – Activity you feel you can enjoy (or learn to enjoy). Efficacy – Activity you feel you are good at (even if you have to start slowly, you should feel a sense of confidence in your activity). 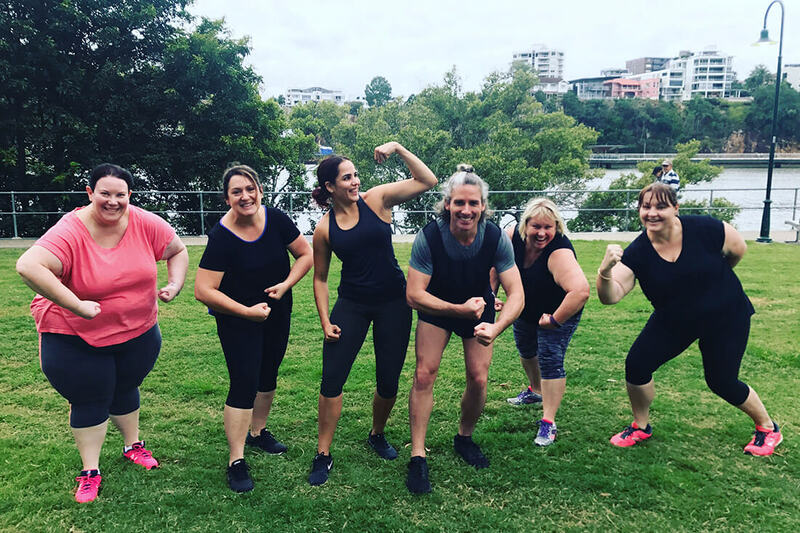 Empowerment (over embarrassment) – We are mindful that for many people activity comes with embarrassment (e.g., due to fitness levels, weight, and comparisons) and aim to reduce this so you feel more empowered. Empathic Problem-Solving – We are mindful that there are many barriers to physical activity (e.g., time, location, and physical condition) and aim to transcend these barriers from a compassionate perspective. Your Weight Management Psychology Personal Trainer considers these your measures of success (as opposed to traditional “success” indicators of weighing, measuring, or skin-fold testing). We believe this approach leads to more consistency in movement, more sustainable physical activity improvements, and more holistic health benefits over time! Book a FREE CONSULTATION to discuss your goals, personal preferences and special considerations with one of our PTs. Gracyn Bower is a size-inclusive personal trainer at Weight Management Psychology. She is a member of Fitness Australia and has her Certificate III & IV in Fitness from the Australian Institute of Personal Trainers. Growing up exercise was never one of Gracyn’s favourite things to do and it was never a big part of her life until she started her own fitness journey in 2014, completely transforming her life. She fell in love with the fitness lifestyle and the enjoyment she found in exercise and healthy living. Gracyn found a whole new level of confidence and happiness and just knew she had to share it. It is this enjoyment that Gracyn wishes to share with others and it is why she loves being a personal trainer, to help others transform, to grow stronger, healthier and happier and to achieve goals that they once thought were not possible. In her past three years as a personal trainer, and as an avid fitness lover herself, Gracyn has not only worked in a number of settings and trained people of varying diversity, but she has also trained in boxing, weightlifting, group fitness and her most recent triumph – crossfit. All of these opportunities have equipped Gracyn with a great deal of experience which helps her to provide as much variety for her clients as possible. While many people choose to focus on supposed “quick fix” diets and exercise routines, Gracyn continues to believe that focusing on long-term lifestyle changes is far more important than focusing on the short-term. Gracyn is also an aspiring psychologist, graduating with First Class Honours in undergraduate degree in Psychological Science at the University of Queensland in 2017. Studying psychology alongside personal training has allowed Gracyn to gain a new insight into why people exercise. Gracyn has always understood the physiological changes that accompany physical activity, but studying has gifted her with new knowledge of the human mind and how various psychological factors interplay with physical activity. Working together, Gracyn and Glenn hope to change the future of physical movement for people who are living in larger bodies; to transform the minds of not only individuals wanting to lose weight, but also the trainers who work alongside them. To understand that working towards a long-term lifestyle changes is the key to achieving and maintaining a successful holistic transformation. Train in a way that works for you as a unique individual. 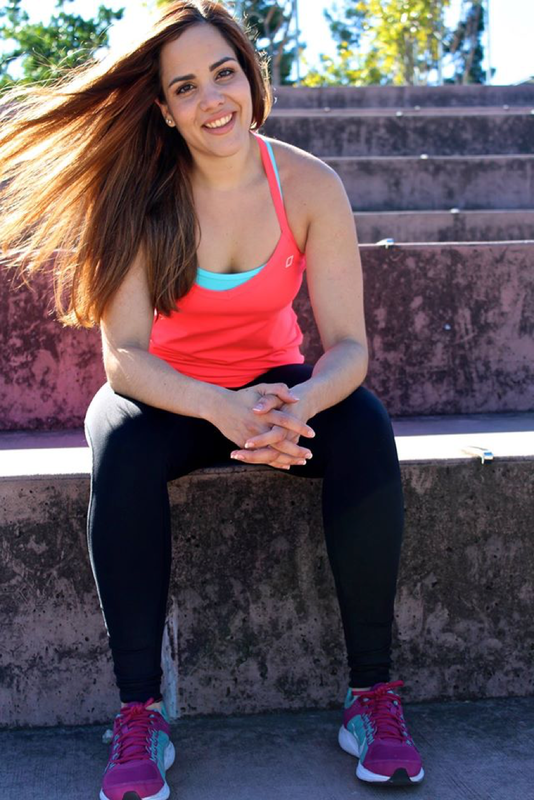 Gracyn is qualified in boxing, TRX suspension training and Kettlebells as well as general personal training. Do more of what you like, less of what you don’t and look forward to building a more positive relationship with exercise every session! Call Gracyn on 0402 530 357 or send her an email to get started! Get moving in a supportive size-diverse environment! Release some stress in a supportive size-diverse environment! BOOK YOUR FREE 1-HOUR CONSULTATION WITH GRACYN NOW! Wendy is a personal trainer at Weight Management Psychology. She holds a Cert 3 and 4 in personal training, is a qualified boxing for fitness coach, and holds an Advanced Diploma of Nutrition. She is also in her last year of studying Naturopathy and is a member of Fitness Australia and the Australian Natural Therapies Association. 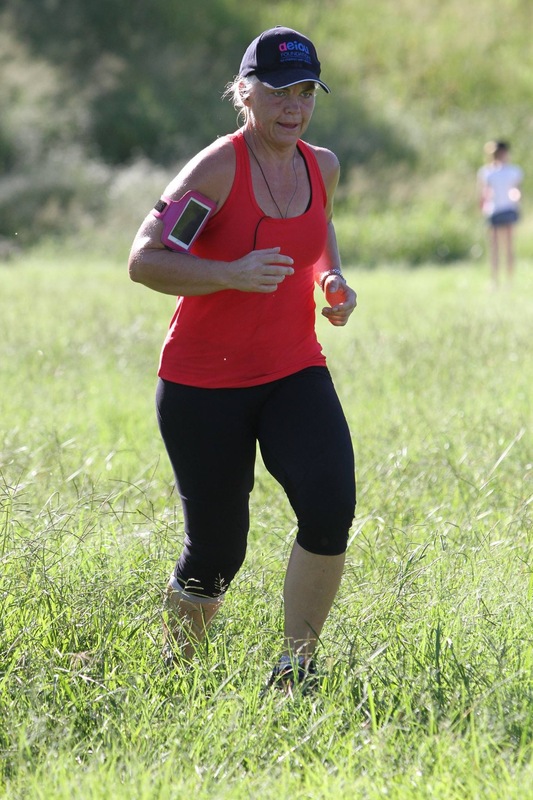 She qualified as a PT in 2013 and embraced it straight away with her philosophy of safe movement with some fun as well – laughter is the best exercise! Wendy loves working with Weight Management clients as she firmly believes in the connectedness of the mind, the body and the spirit to be happy and healthy in life. She is married with 2 young boys as well so gets the juggle that life can be sometimes. Previously in a corporate life, Wendy’s change of direction was driven by her own health journey. She was a larger child and became an unhealthy adult. Not because of her size but because of habits (both physical and mental!). The birth of her first son prompted her to begin the journey that has resulted in her changing 5 dress sizes, having a different outlook on life and herself and having a love of activity. She still trains with the same trainer that she started with 9 years ago and regularly checks in with Glenn to make sure her own journey is on track. Her emphasis when training is to moving in natural ways and focusing on things that will make everyday life easier. She aims to find what exercise you like to do (or sometimes at least the ones you don’t hate!) and this has resulted in her great retention rate. With clients permission she touches base with Glenn so that we truly work as a team to help our WMP clients. Her greatest joys is witnessing clients gain confidence and strength as they see the changes in themselves that movement can bring them. BOOK YOUR FREE 1-HOUR CONSULTATION WITH WENDY NOW! "Gracyn is an outstanding personal trainer. She is incredibly personable and training with her is not a chore, more like a fun activity with a friend, that I look forward to each week. She has a wealth of health, fitness and wellbeing knowledge and is able to cater training sessions to any level of movement capabilities. I feel very confident training with Gracyn and finish each session with a real sense of accomplishment. In my opinion, she’s the standard by which any trainer should be measured. I would have no hesitation in recommending Gracyn to anyone who is interested in starting their training/movement journey, or looking for a change in their current regime." "Personal training with WMP trainers has changed my life for the better in many ways. I've always struggled to be active consistently. I've joined many sporting groups, gyms and had many other trainers over the years but have always stopped going after a short period of time. I've been training with WMP trainers consistently for over a year and my fitness has definitely increased dramatically, but more importantly for me it's been FUN! Heath isn't the type of trainer who yells and screams to get you to work harder, but who's gentle encouragement and genuine interest in helping his clients has been the special ingredient that has helped with my weight management. He works closely with Glenn and my Physio to manage my special requirements in relation to injuries and other areas of difficulty. I simply can't recommend WMP trainers more highly." "Can confidently say that it was the first ever PT experience that I’ve ever enjoyed (and there’s been a few). Wow. Thank you for giving me the opportunity to train with Gracyn!" "After enduring many issues over the years with my body battling weight and movement problems, I now have a much clearer understanding of how my mind and body works. I have lost weight, my mind is much more focused and my movement is quite miraculous. I have a very deep respect for your outstanding commitment to the process of healing of mind and body. What I appreciate most is the trust I have in the WMP team. Through their enthusiasm it has empowered me to face the world with renewed optimism. Being a Registered Nurse: I have worked with and been assisted by many health professionals over the years and consider Glenn and the trainers truly of top echelon. If anyone is looking for a multifaceted approach to wellness, with very professional and compassionate leaders. Look no more. They really saved my livelihood. Thank you so very much." "Best PT I’ve ever had! She is so good with me and knows how to work around my back and wrist issues." To book a FREE CONSULTATION to discuss your goals, personal preferences and special considerations with one of our PTs. Hey Buddy!, I found this information for you: "Physical Activity". Here is the website link: https://www.weightmanagementpsychology.com.au/physical-activity/. Thank you.